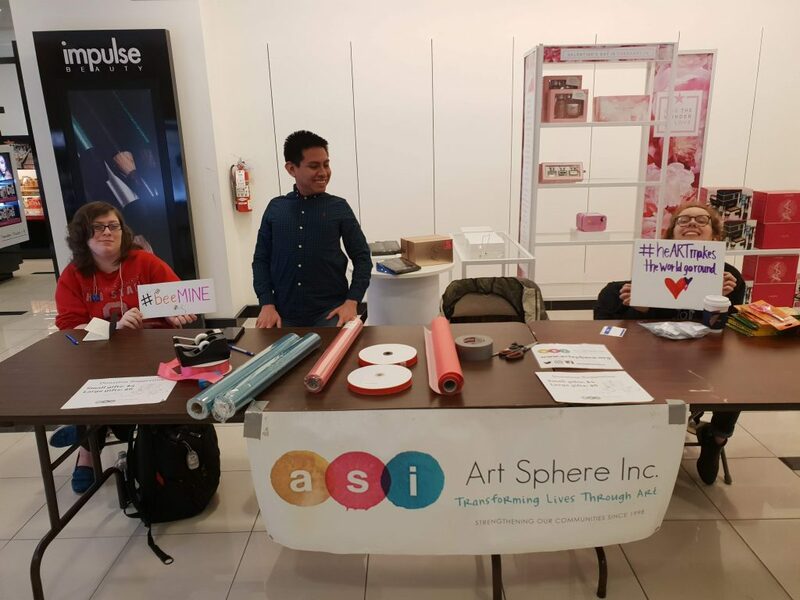 Valentine's Day Wrapping at Macy's | Art Sphere, Inc. 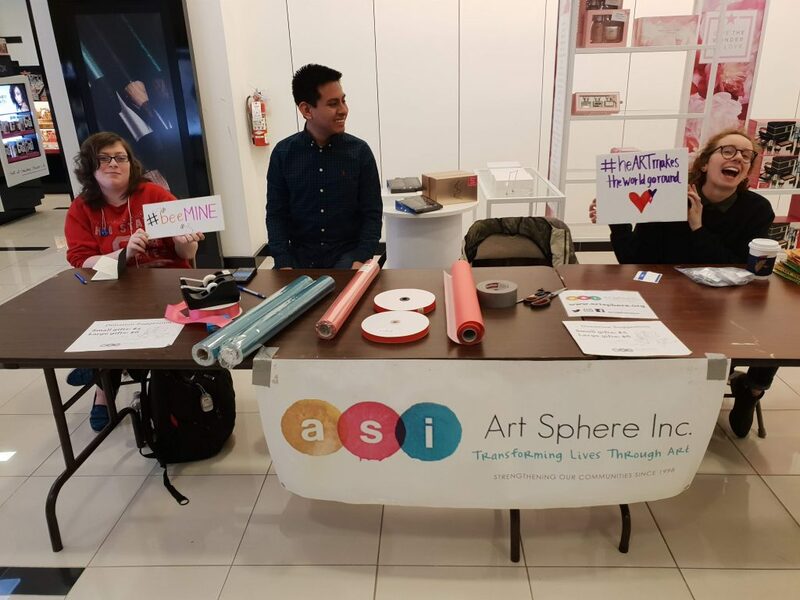 This past Friday, ASI set up a gift wrapping table at Macy’s for Valentine’s Day. Our table was up from 12 to 3, and word was spread by those working in the cosmetic department. 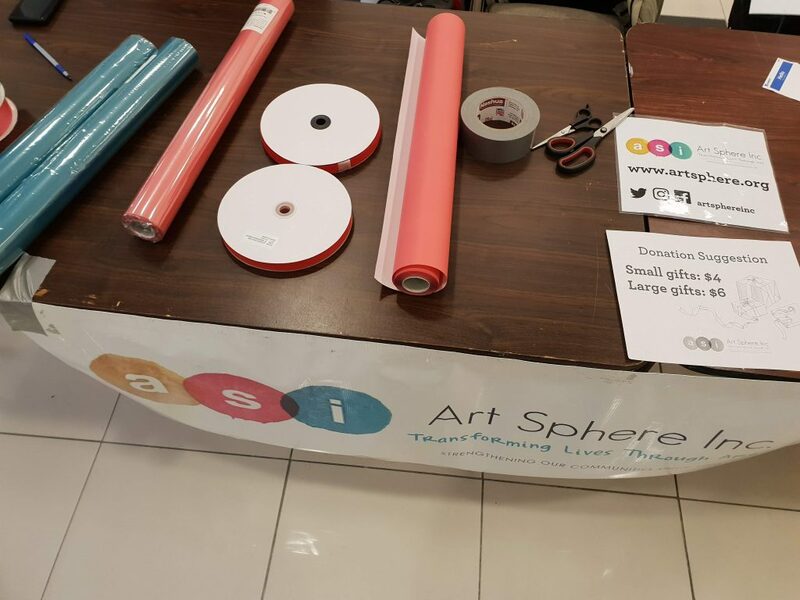 We had help from 4 of our awesome volunteers for this fundraising activity, and Macy’s donated art supplies including: markers, scissor, and pencils. 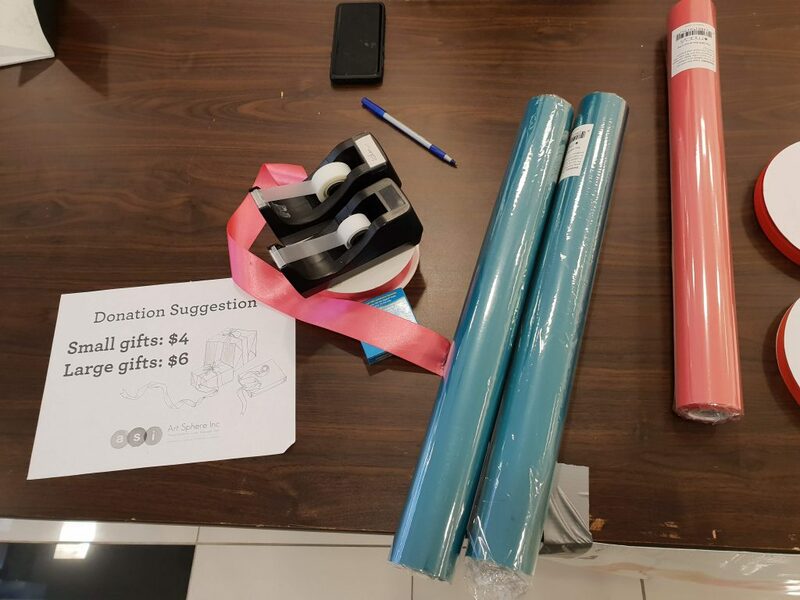 Share the post "Valentine’s Day Wrapping at Macy’s"